As a leading expert in laser surgery, Deborah H. Atkin, MD, uses the VBeam Perfecta® to clear acne scars, visible veins, rosacea, port wine stains, and other vascular lesions to rejuvenate healthy skin and restore a softer, smoother texture with an even skin tone. Dr. Atkin uses The VBeam Perfecta® to produce an intense but gentle burst of light that selectively destroys the blood vessels within the treated area, without damaging the surrounding tissue. The treatment is extremely safe and there are no major side effects. Side effects are rare but could include redness or swelling of the treated area which will dissipate within a few days. 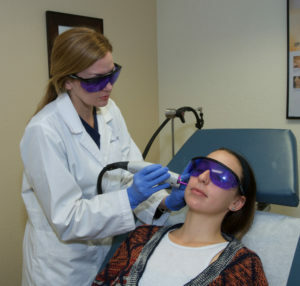 Did You Know?Did you know that pulsed dye lasers have an exceptional safety record and have commonly been used since the 1980’s for treating skin conditions in adults and children? With more than 15 years of use and over 300 published papers, the VBeam Perfecta® delivers optimal safety and effectiveness. VBeam Perfecta® is the only pulsed dye laser with an integrated patented Dynamic Cooling Device™ that sprays cryogen onto the epidermis (the top layer of the skin) prior to each laser pulse for quick, effective cooling and greater comfort. 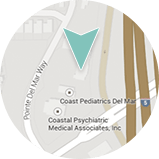 With ten lasers at Dr. Atkin’s disposal, she can choose the best combination of treatments to meet your goals. She will personally evaluate your skin during the consultation. If she identifies that your skin would benefit from the VBeam Perfecta® for superficial acne scarring and the SmoothBeam laser for deeper acne scarring, then she will use the SmoothBeamTM laser at little additional cost to you. Each laser has its own strengths. The combination of laser treatments that Dr. Atkin prescribes will give your skin the best possible outcome. Length of Time for Procedure? Patients should expect slight redness and may have mild swelling for a very short period of time after treatment. Any discomfort during treatment is minimal. Length of Time for Procedure – Depending on the treatment areas, this procedure can usually be performed within 15-30 minutes. Final Results of the Procedure – You should notice an improvement in the appearance of your skin within one week of treatment. Multiple treatments result in additive benefit. Other Treatments or Skincare Products that May Improve My Result? VBeam Perfecta® is often performed in conjunction with SmoothBeam laser. SkinMedica’s Retinol Complex and TNS Essential Serum are great anti-aging products to microscopically exfoliate the skin and stimulate collagen without causing redness or further irritation. As a helpful resource, Dr. Atkin has provided some answers to commonly asked questions about VBeam Perfecta®. To learn more, please contact our practice to schedule a consultation. How many VBeam Perfecta® treatments are needed to clear away facial redness? Usually 2-4 treatments are recommended, with occasional maintenance sessions from time-to-time. However, even one treatment will typically give you an improvement in your skin condition. What is the VBeam Perfecta® laser used for? 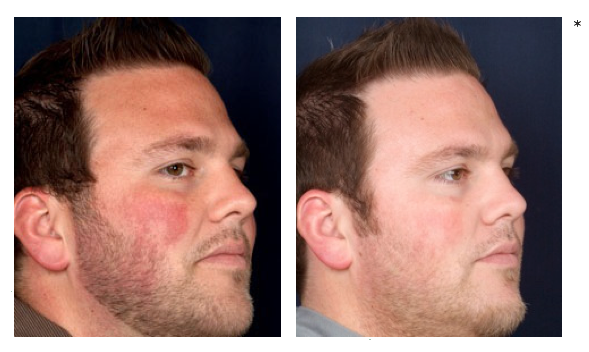 The VBeam Perfecta® laser specializes in vascular issues, the type that cause redness to appear on the skin’s surface. These include: Rosacea, port-wine stain birthmarks, redness, flush, and irritation resulting from acne, diffuse redness, facial and some leg veins, hemangiomas, and angiomas. The most common side effects include minor redness and swelling in the affected area immediately after treatment; however, these symptoms should fade within a few hours. Some individuals may bruise, but this should also subside promptly. Every patient’s treatment plan, anatomic needs, and desired outcome are unique, therefore the results will also range to some degree from person to person. Lifestyle factors, the specific condition being addressed, and other considerations will play a role in the long-term outcome. 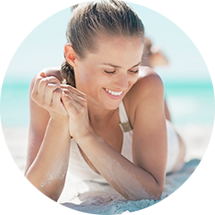 If you receive laser treatment for sun spots but continue to spend time in the sun without protection, the pigmentation will likely return. We can help you preserve the benefits with advice to protect the health and beauty of your skin. The feeling most patients report is a warming or tingling sensation during treatment almost like a rubber band snap.